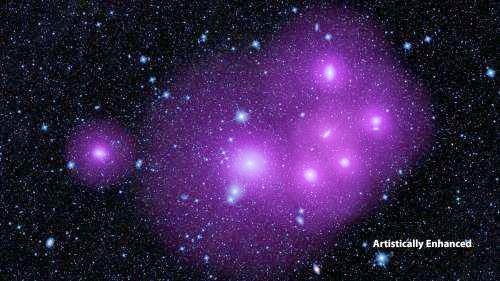 A review of more than 170,000 supermassive black holes, by means of NASA's Wide-field Infrared Survey Explorer (WISE), has astronomers retracing a decades-old theory about the changing looks of these mysterious interstellar entities. The unified theory of energetic, supermassive black holes, first established in the late 1970s and it was generated to describe why black holes look totally different even though they are similar in nature. Some seem to be masked in dust, while others are uncovered and easy to see. The unified model replies this question by suggesting that every black hole is encircled by a dusty, doughnut-shaped arrangement called a torus. Depending on how these "doughnuts" are made in space, the black holes will take on many looks. For instance, if the doughnut is located so that we see it edge-on, the black hole is hidden from view. If the doughnut is detected from above or below, the black hole is noticeably visible. New WISE results do not verify this theory. The scientists found indication that something other than a doughnut arrangement may regulate whether a black hole is observable or hidden. The team has not yet resolute what this may be, but the results propose the unified, or doughnut, model does not have all the answers we seek. Lin Yan of NASA's Infrared Processing and Analysis Center (IPAC), constructed at the California Institute of Technology in Pasadena said "Our finding revealed a new feature about active black holes we never knew before, yet the details remain a mystery. We hope our work will inspire future studies to better understand these fascinating objects."